We want your old markers! If you have dried out old markers lying around in your drawers (and let’s face it, we know you do!) don’t toss them out – recycle them! Look for this collection container in the main hallway beside the lost and found. 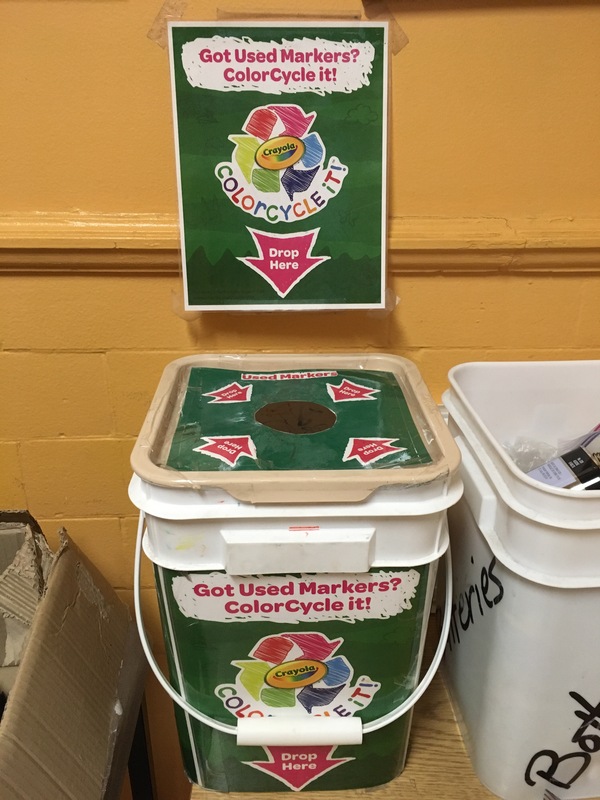 Markers are collected and shipped to Crayola for recycling as part of their ColorCycle program. Their program accept all brands of markers (how awesome is that?). Since January of this year we have rescued 23lbs worth of markers from the garbage dump – now that’s something to feel good about! Previous Previous post: Got extra Books, Games & Art Supplies? Next Next post: Buy your FundScrip Gift Cards online now!